Do you want to feel at home even when you are in the garden? Then perhaps you should consider improving the look and design of your patio. Many householders like to own a patio as it permits them to remain close to nature and enjoy the calming open-air environment that it affords them. The appearance of your patio can be as creative as you wish and your choices are almost endless when you’re trying to find ideas on how to improve it. Having said that, what you can do with your patio area is dependant on its size, shape and surrounding environment . If you are uncertain what the very best use for your patio may be, then please read on to discover possible uses for your patio area. Do you long for an enchanting outdoor setting for you and your partner to enjoy? Then why not transform your patio into a romantic retreat? With the correct patio furniture you can create somewhere both comfortable and chic for you to both cuddle up on warm summer evenings. If you are looking to inject some romance into your patio surroundings, then you should take care when choosing lighting to set the tone. Either vintage lanterns or dazzling fairy lights can be stunning when lit after dark and are perfect for creating the best romantic ambiance. 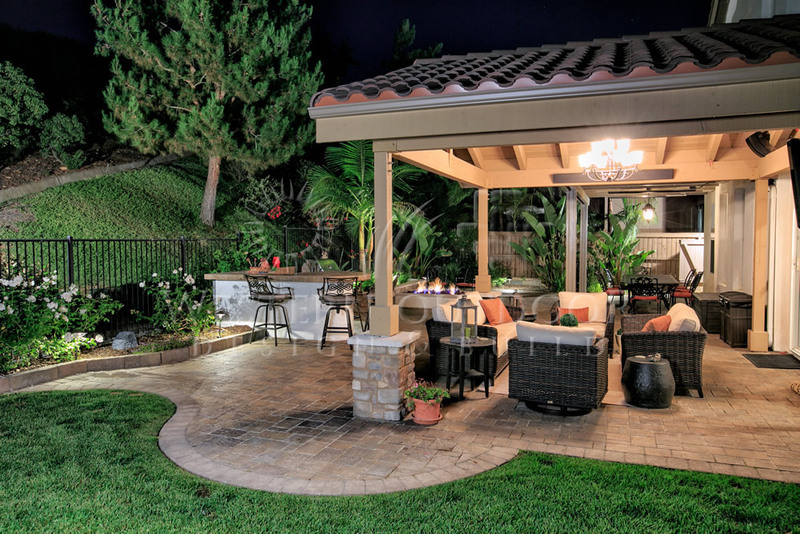 However, do you feel that a family-friendly patio would be better suited to you? An outdoor patio can make a fantastic location for family barbecues and fun get-together’s with friends and family and provide you with the perfect place to hold special events. Although a patio is seemingly a place for the summer, with the assistance of comfy garden patio furniture such as sofas, chimeras and patio heaters, you and your guests will never be cold or uncomfortable which means that fun-filled winter evenings are also an option. Can’t afford a holiday this year? Then why not bring the holiday to you, by creating your very own tropical retreat in the garden? To surround yourself with that holiday feeling and make the most of the warm summer months, you can transform your patio into a tropical haven. In order to achieve this, you should fill your patio with soothing sights, smells and sounds. By bringing in an array of tropical plants and brightly coloured flowers your patio will look and smell a tropical treat! A stunning water feature could also provide you with the ultimate outdoor luxury. This will create a continuous backdrop of trickling water, helping you to unwind even after the toughest of days. To learn more about the exciting variety of patio furniture and accessories that are available to you, you can go online today and browse the patio furniture clearance that are being offered. You won’t be disappointed!